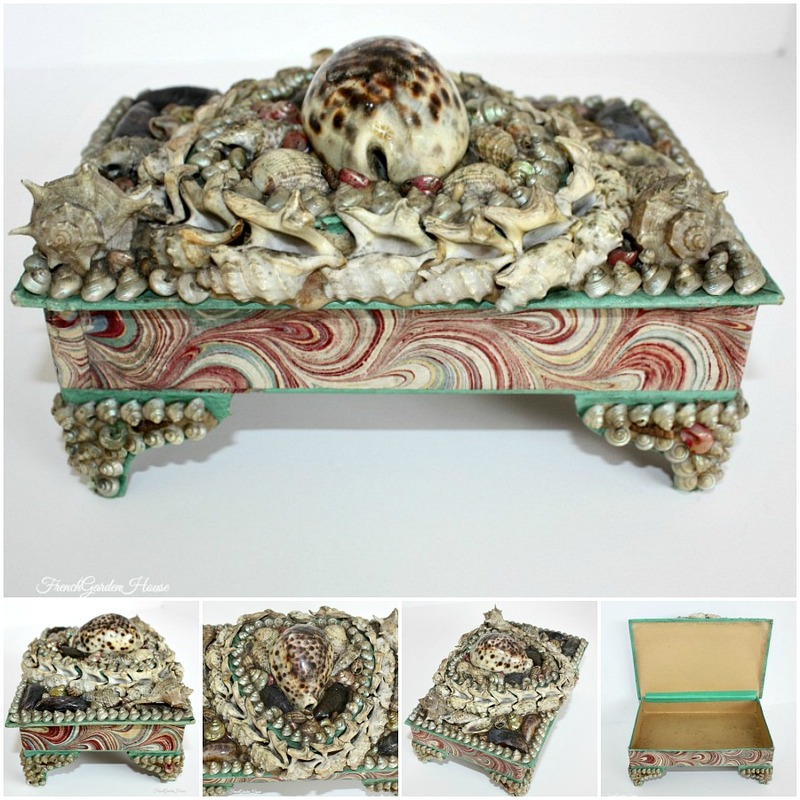 Exceptional Antique French Estate Sailor's Valentine, or Shellwork Box, with dimensional Heart shaped decorative design. 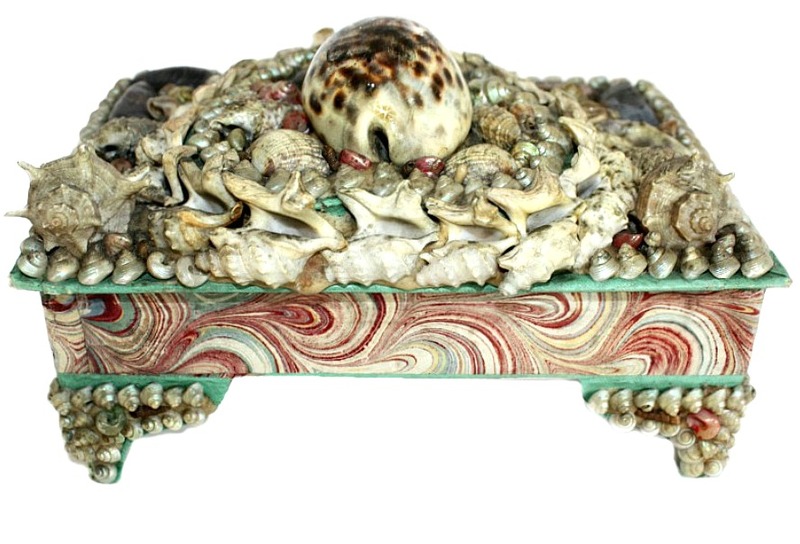 Heart is surrounded by Pelican's Feet, a shell typically used for borders in the 19th Century Sailor's Valentine pieces. 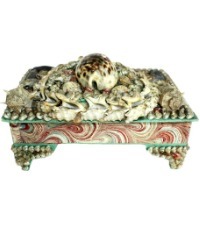 Fantastic detail of elevated feet, this rare box is covered with red marbled paper on the sides. 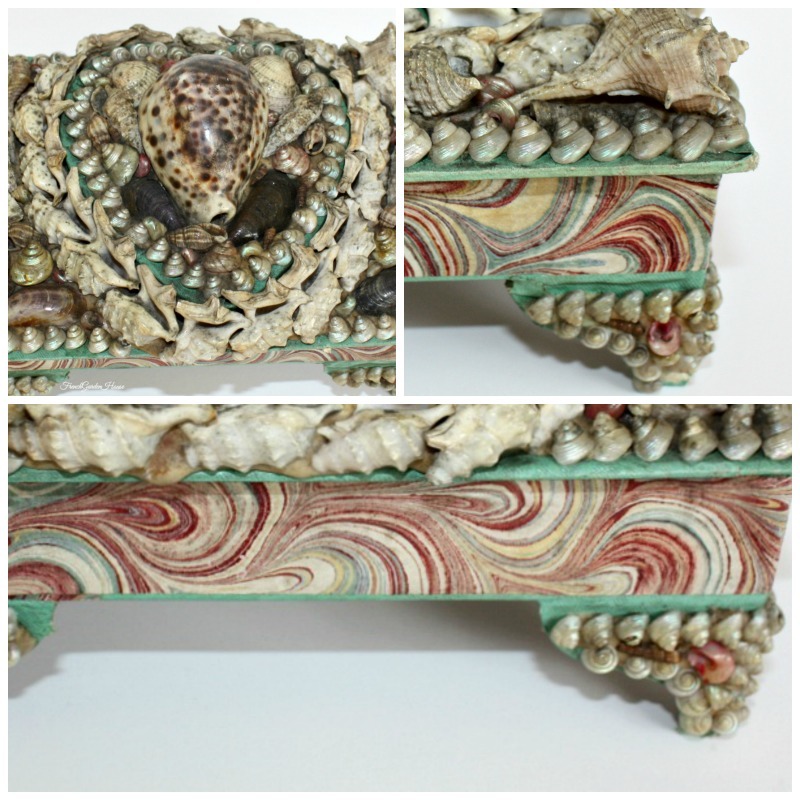 From a French collector's estate, the shells include soft Green and Pink pearl shells, all firmly set in plaster. 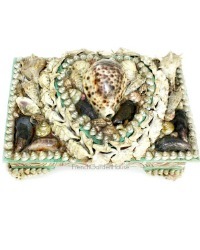 This is a rare shape, good antique condition, a collectible gem to add to your collection. Measures 7~3/4" x 5~3/8" x 5".